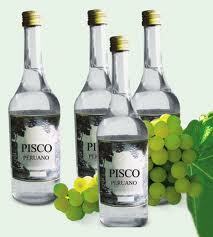 Master Distiller and restaurateur Johnny Schuler is the preacher of pisco. He’s dedicated to bringing the fragrant Peruvian spirit to the states. Working hard on a marketing campaign to make his this dream a reality, he’s learning how to navigate the different state laws regulating alcohol, about dry and wet states. He said he’s, “learning a new lingo here.” Whatever the process, it seems, Schuler is going to get pisco on your palette. Reminiscent of Dos Equis’ “the most interesting man in the world,” Schuler is a major force in the spirits, and, specifically, the pisco industry. We spoke with him in this first part of an interview about his nationality, his new company Porton, and about his passion for one particular beverage.